Lotus Gemology receives submissions of star stones on a regular basis, so when we first saw the specimen shown here, it appeared to be one among many of our usual stones to test. Upon closer examination, however, we realized it was not a star sapphire, but something much more rarely seen: star spinel. 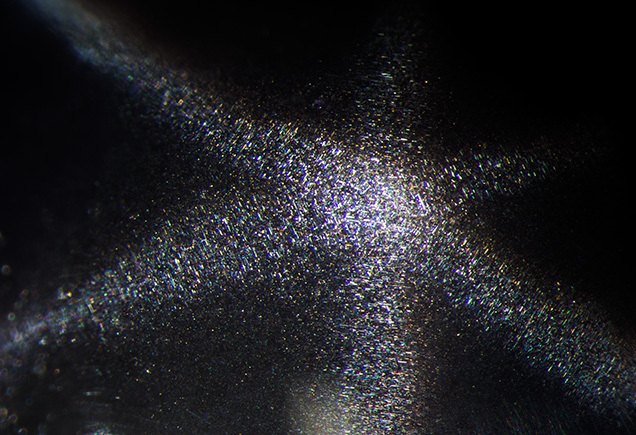 Upon first glance at the cabochon’s dome, the stone displays one six-rayed star (figure 1), similar to what we see in star corundum. But if we look on the sides of the stone, we can also see a four-rayed star (figure 2). Figure 2. When viewed in a different position, the spinel also displays a four-rayed star. 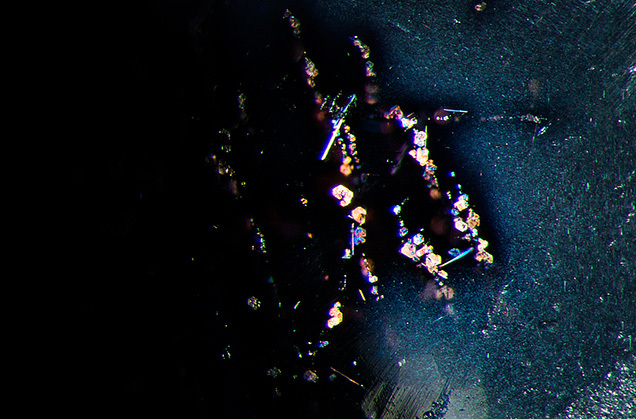 Photomicrograph by E. Billie Hughes; specimen courtesy of Global Spinel Gems. 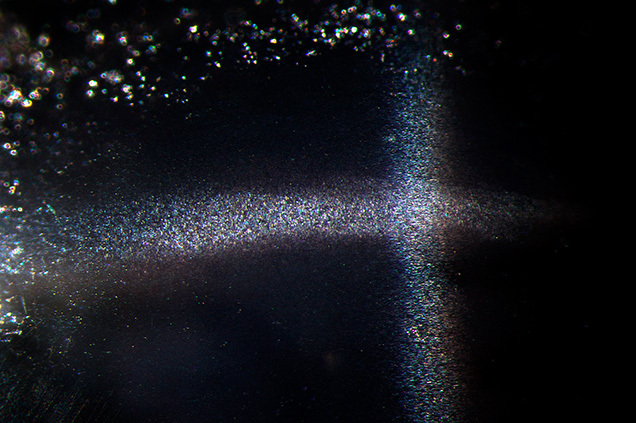 >These stars are both created from numerous dense, short needle-like particles. Once we examined a small polished area on the cabochon’s base, we found that there are actually two distinct types of exsolution products in the stone. On the right side of figure 3, we can see the tiny, dense needles and particles that form both types of stars. In the center of the image we can see much larger, less densely dispersed platelets that resemble confetti. Figure 3. In the center of the image we can see larger reflective platelet inclusions in the untreated star spinel. On the right-hand side, we see much finer dense needles that form both six-rayed and four-rayed asterism. Photomicrograph by E. Billie Hughes; specimen courtesy of Global Spinel Gems. E. Billie Hughes is a gemologist at Lotus Gemology in Bangkok.